On July 7, 2018, family and friends gathered together to honour a proud RCMP Veteran, Harold Searle and to celebrate with him a marvellous milestone; his 100th Birthday! Assistant Commissioner Brian Brennan, Commanding Officer, “H” Division, hosted Harold and his guests for an exceptional celebration “H” Division Headquarters. Harold received a host of congratulatory messages from the Queen, the Governor General, the Prime Minister, the Commissioner and so many other dignitaries. A very pleasant event was enjoyed by all present. Harold has devoted his entire life to the service of Canada; as an RCMP officer patrolling in several communities within Nova Scotia over 25 years; and as a probation officer and a Reserve Officer within the Royal Canadian Air Force, for many years, following his retirement from the RCMP. 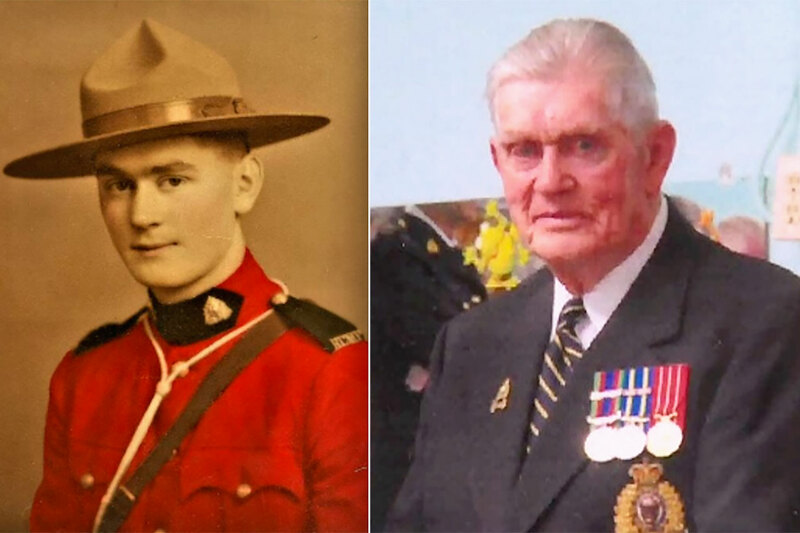 He joined the RCMP Veterans’ Association in 1967, as Canada celebrated its Centennial year, and has been a stalwart member of Nova Scotia Division for over 50 years. President Steve Walker joins all Veterans in extending hearty congratulations to Harold on this joyful occasion! Harold continues to lead by example. We remain grateful for all his contributions to the Association for the past half century, and look forward to continuing to benefit from his counsel for many years ahead.